The Larong Pinoy Program is an advocacy of Magna Kultura Foundation to keep the Games of our Heritage (Laro ng Lahi) alive in the modern age, for FIlipinos to enjoy. Patintero. Tumbang Preso. Luksong Tinik. Luksong Baka. Siyato. Piko. Luksong Lubid. Holen. Turumpo. And many other games. Larong Pinoy is a cultural heritage composed of the Traditional Filipino Street Games that are well loved by generations of Filipinos. It encompasses generations, from grandparents, to parents, youth & toddlers. It is the games of our heritage (Laro ng Lahi). 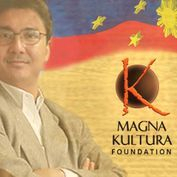 Magna Kutura Foundation is dedicated to the advocacy of reviving Larong Pinoy in the mainstream of Philippine Society. Magna Kutura Foundation launched an advocacy to strengthen awareness for the Games of our Heritage --- Traditional Filipino Street Games. The games are a cultural treasure cherished by generations of Filipinos (Laro ng Lahi). It instills Patriotism, Bonds children and elders, and Enlivens communities with fun camaraderie. Pinoy Games promote active outdoor play, and opens an avenue for children to play and bonf with neighborhood friends. Magna Kultura started the advocacy by creating the 1st-ever Sports Training Play Camps to teach the new generation of Filipino youth the mechanics of each and every Pinoy Game. The Foundation also created Official Tournament Rules and Game Officiating Formats that are implemented in the Sports Fests conducted in Barangays, Schools, and Private Corporations. As an activity, the Pinoy Games transforms people, transform communities. It revives a way of life built around fun and youthful bonding. We are passing on something that children will remember forever in the lives. In today's modern age, Patriotism is a growing concern in our nation today. One of the ways to teach children patriotism is to have them be in an informative play or program. The best way is through Play. Play is the original way of learning things. It also makes the lessons memorable. Teach children to play the Filipino Games. One day, they will play in the leagues of society, and they will play as team called Filipinos. The Traditional Filipino Games are the games of our heritage ("Laro ng Lahi" in Filipino). Most of the games are popular street games played by neighborhood children growing up together. It is passed on from one generation to another. As such, it is called "traditional" Filipino games. The traditional Filipino games promotes the Filipino spirit in a fun way. By and large, it is part of the Filipino culture. It is a cultural treasure that every Filipino should cherish, and continue to pass on the new generation, and to their children's children. Filipinos can be proud to have their very own games. The Filipino games are as competitive as international games played in the Olympic arena.